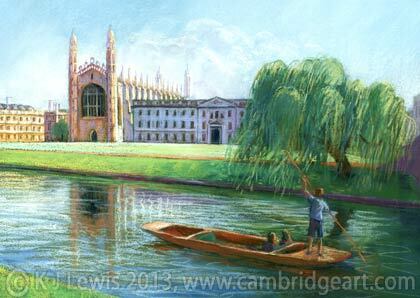 Painting of Kings College - Morning Light, University of Cambridge. Prints, cards, fridge magnets & keyrings. 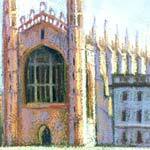 This pastel painting of King's College is from a collection of 139 prints of Cambridge, England. Limited edition prints of this picture are for sale online below. * UK: All sizes mounted. Overseas: only Mini prints mounted. All images © K J Lewis 2000-2019.